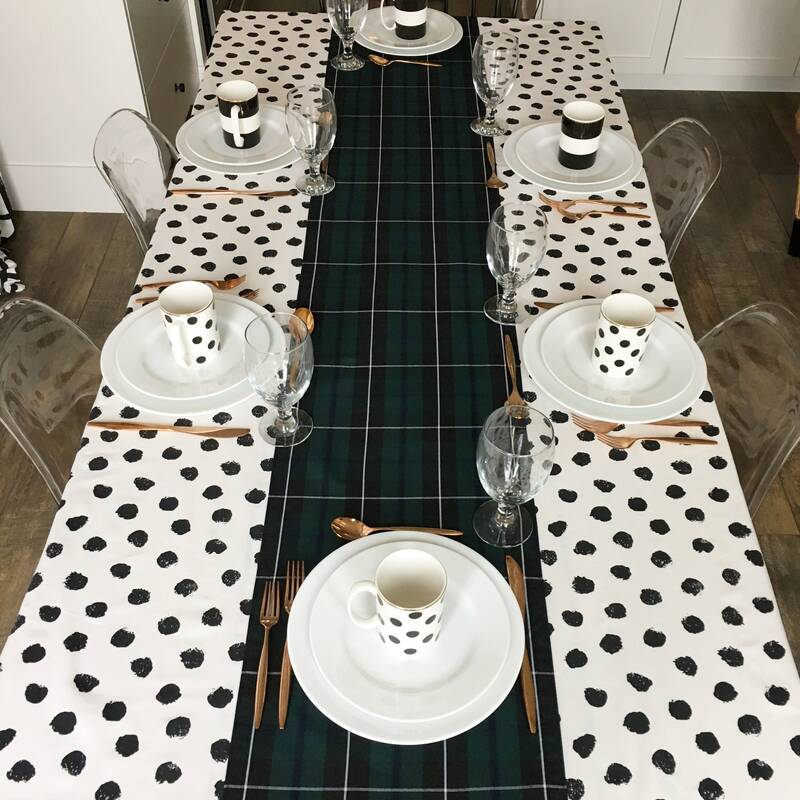 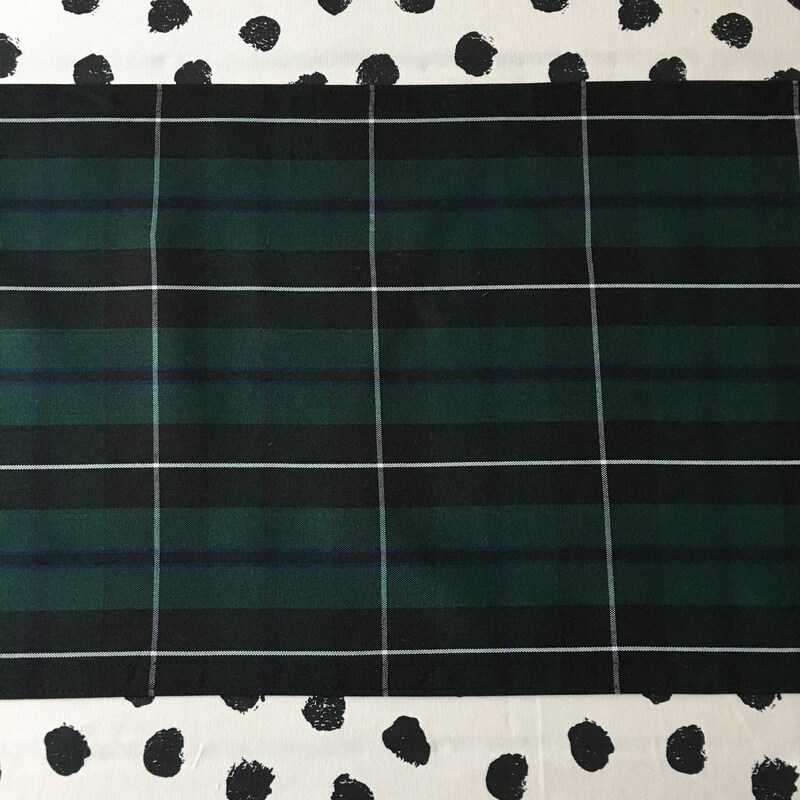 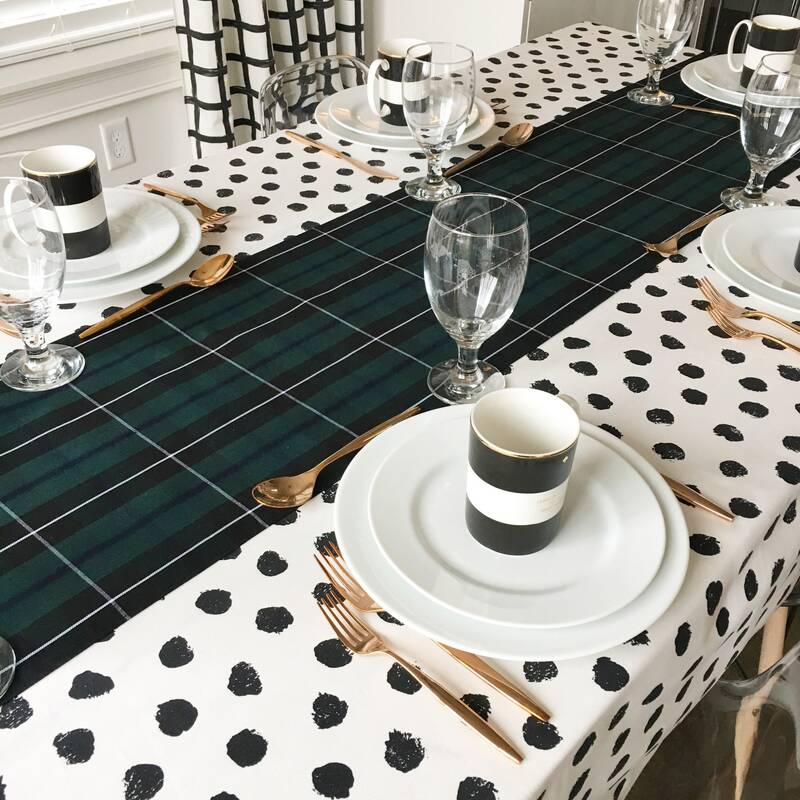 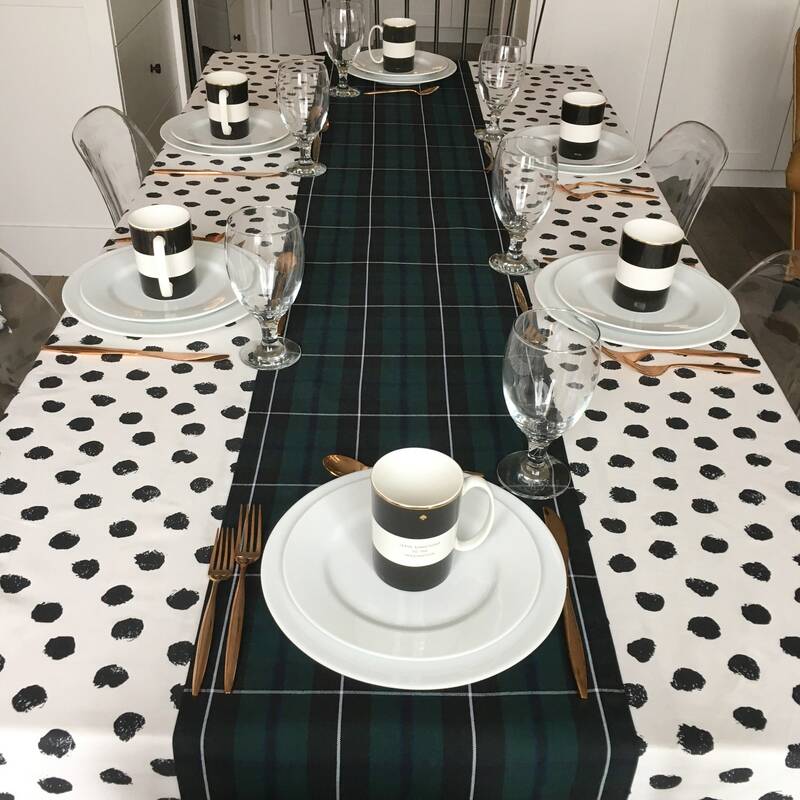 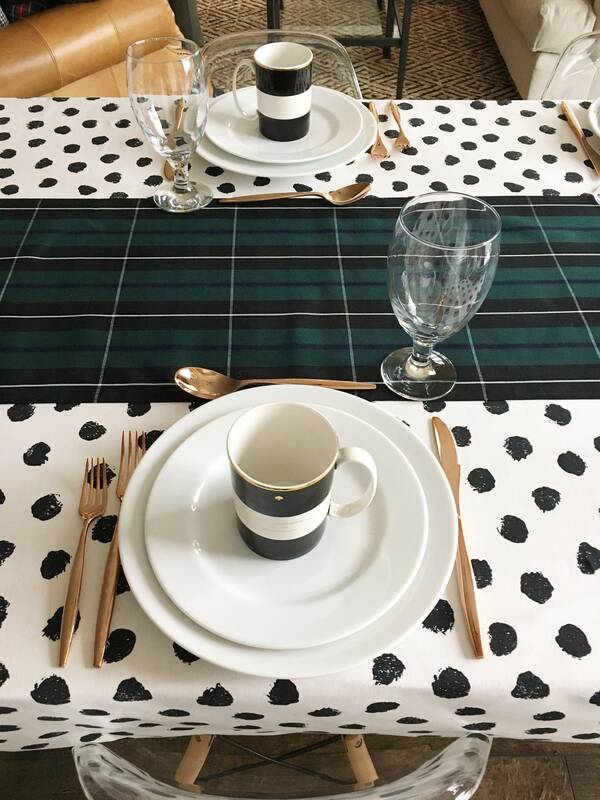 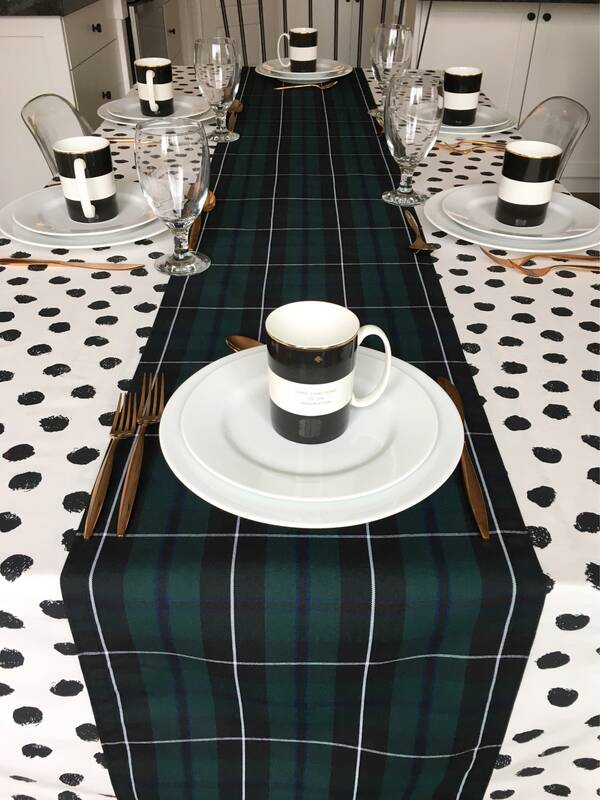 A fresh take on a Christmas classic, this Forrest Green Tartan Table Runner is a modern holiday centerpiece. 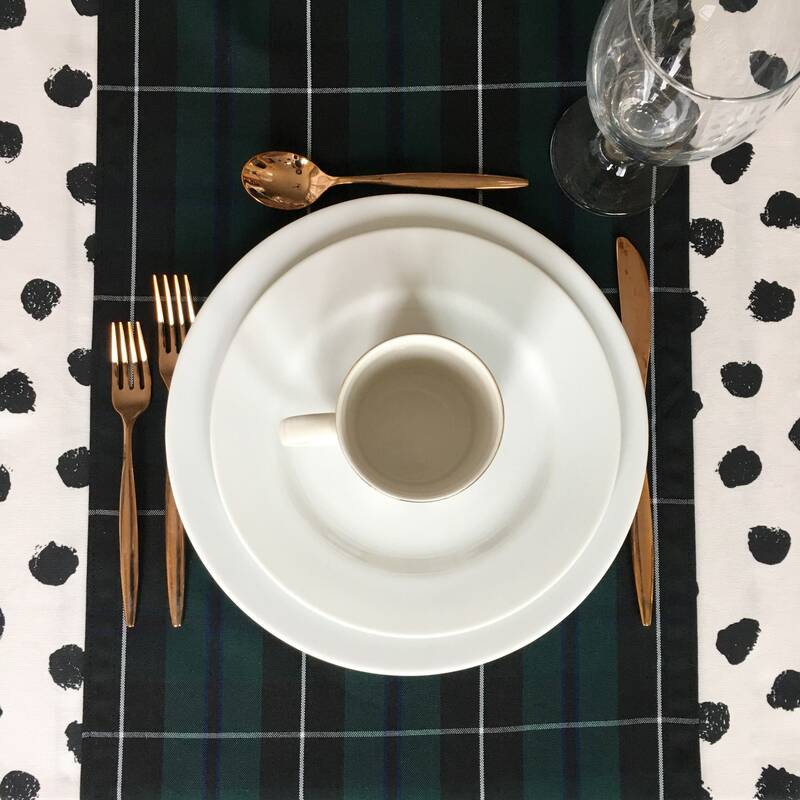 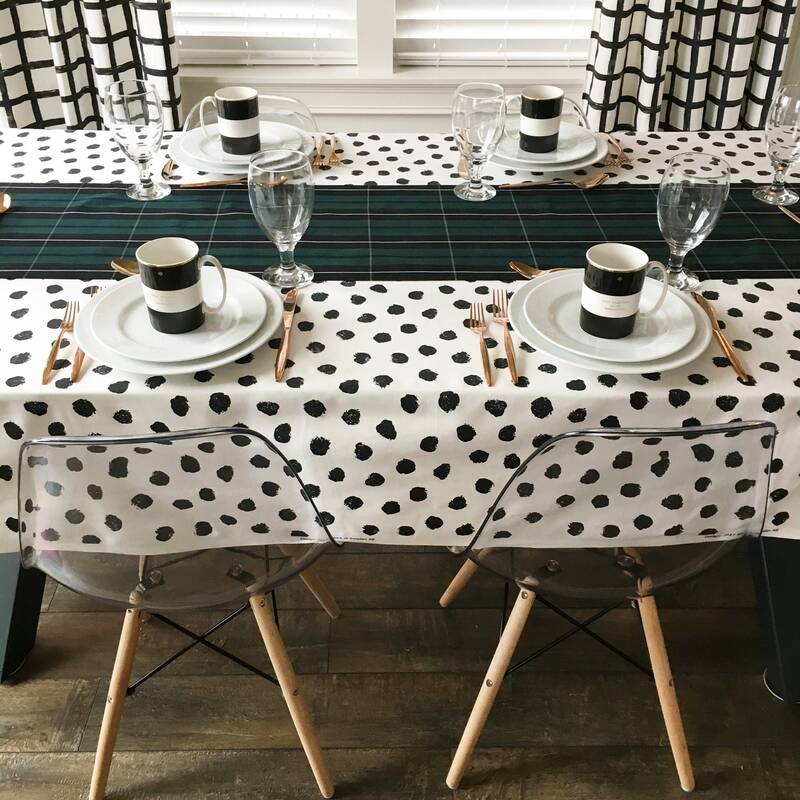 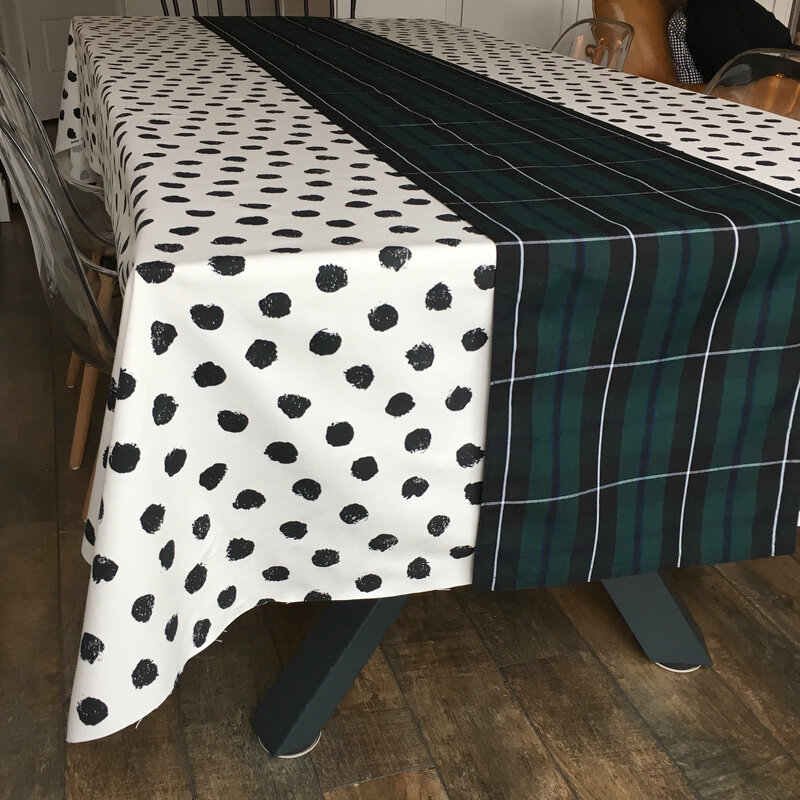 Pair this wrinkle resistant fabric with your favorite Christmas tablecloth for memorable, elegant, family dinning. 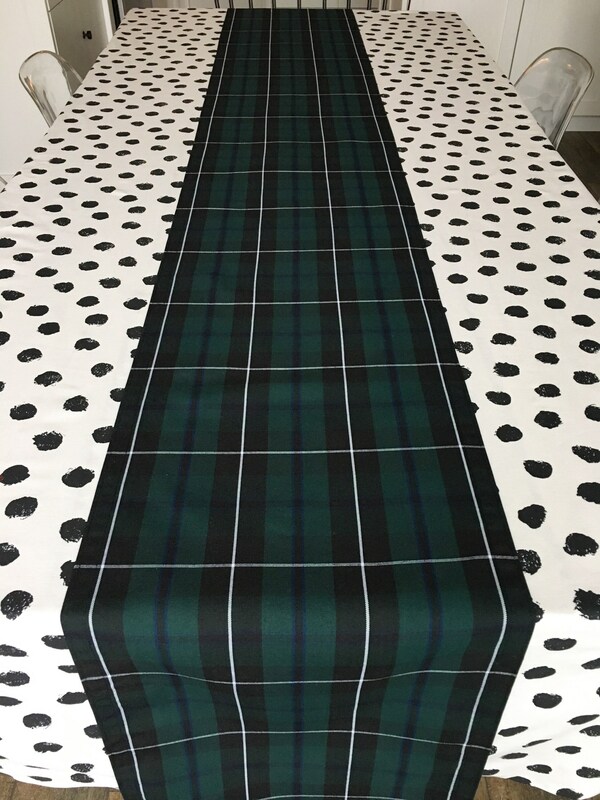 The Forrest green tones are accentuated by a black, white, and navy blue patterned weave.